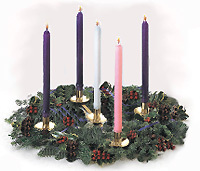 Today we relight the first three candles of the Advent Wreath — the candles of HOPE, PEACE and JOY. Jesus demonstrated self-giving love in his ministry as the Good Shepherd. Advent is a time for kindness, thinking of others, and sharing with others. It is a time to love as God loved us by giving us his most precious gift. As God is love, let us be love also. “For the Lord your God is God of gods and Lord of lords, the great God, mighty and awesome, who is not partial and takes no bribe, who executes justice for the orphan and the widow, and who loves the strangers, providing them food and clothing. You shall also love the stranger, for you were strangers in the land of Egypt. Teach us to love, O Lord. May we always remember to put you first as we follow Christ’s footsteps, that we may know your love and show it in our lives. As we prepare for our celebration of Jesus’ birth, also fill our hearts with love for the world, that all may know your love and the one whom you have sent, your son, our Savior. Amen. Then she watches a look of confusion cross people’s faces. “They don’t understand what that means,” Curtice said. When she isn’t traveling around the country to speaking engagements, Curtice is in Atlanta with her husband, two young sons and two dogs. She home-schools the boys, she said, and with them, she is learning their Potawatomi language and culture. This first book of Curtice’s is full of stories about everyday moments infused with meaning, the books that “opened something up” in her and reconnecting with her Native American heritage. She talked about all these things earlier with RNS. Early in the book, you mention your journey to learn more about your Potawatomi heritage. What set you on that path, and what has that journey looked like for you? We live in Georgia, and there are a lot of Native historic sites here. It’s Muscogee Creek land and Cherokee land — there are areas you can go hiking, and there will be a plaque that tells you who lived there. We went hiking at one of our favorite places, Sweetwater Creek, and my youngest son was 1, and he was hungry, and I had to breastfeed him. I was like, well, I’ll just try and feed him while we walk because there’s no place to sit down. It was that moment where somebody points at you and says, “This is who you are, and this is who your children are, and this is what you’re called to be.” It was just really beautiful, and it just switched on this light for me. From then on, it was just constantly reading and writing and processing and trying to learn as much as I could and having these memories of childhood come back to me that I had forgotten. ‘I myself, I don’t think it’s appropriate either to be completely celebratory about the Reformation or completely negative about the breakup of western Christianity. But there were critical issues having to do with religious authority, location of the nature of divine revelation, the means by which God reconciles people to himself, critical issues having to do with the nature of religion in society, the authority of temporal rulers over spiritual rulers. All of those really important matters were adjusted, shaken up, reformed and revised in about a forty year period. So whether people realize it or not, certainly the Christian churches in the West — and to some extent where the churches have spread in the world — were the heirs of what happened then. Dr. McKnight continues his efforts of explaining why has he joined Anglicanism. As many friends are asking me the same question, I have decided to share here Professor McKnight’s responses. I will not be able to do it better than him, anyway. So, here is a new epidoee in this series. Today, about the Collects. 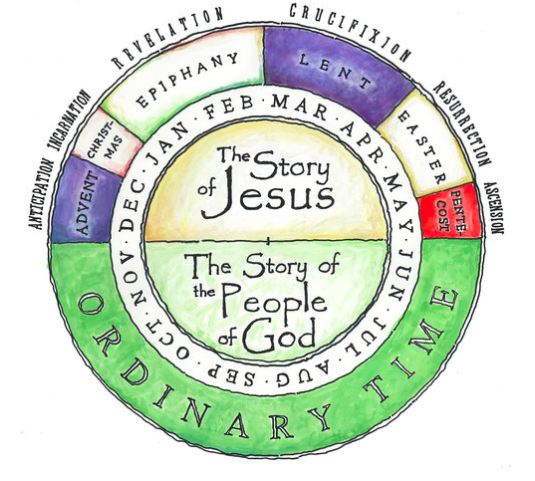 The collects of the church reveal the church’s practices and beliefs about prayer; a collect is a set prayer for a set time in the church calendar. In them we see the church’s theology of prayer come to expression. I posted about the collects here and included a reference to a fine book “collecting” the collects: C. Frederick Barbee and Paul F.M. Zahl,The Collects of Thomas Cranmer. 2. Naming a context in which God has been active and therefore why God can be addressed now.